First off, because of where the stat is, I really couldn't get any good pictures of the procedure. I would recommend that you take a few minutes prior to buying the stat to see if you feel you are comfortable doing this. The stat is located on the front passenger side of the engine; tucked beneath the intake manifold. You can get a fairly good look at it if you remove the passenger side headlight. Once you have looked at your car and decided this is something you think you can handle, go ahead and pick up the new thermostat as well as a jug of coolant and some distilled water (or pre-mix). 1. I began by removing both my skid-plate and radiator air deflector (plastic piece in front of skid plate). 3. Get a bucket or drain pan and put it under the drain valve of the rad, use a large flat-head screwdriver to open the valve (located on the drivers side of the rad. Don't forget to close this valve after! 6. Now that the hoses are of, we can remove the stat. There are three 8mm bolts that hold that stat on the block. I needed to use and 1/8" drive ratchet with short 8mm socket for the top right bolt, the same ratchet with a "deep" 8mm socket for the top left bolt, and an 8mm box wrench for the bottom bolt. 7. Once you have all three bolts out, you are ready to pull the stat from the block. Be aware that there will be coolant still in the block that the stat is holding in. Once you put the stat, some coolant will spill from the block. You should try to cover the alternator as best you can with plastic to protect it from the spilled coolant. Put the bucket under the stat and slowly pull the stat from the block. Inspect the mess you've just made and clean up accordingly. 8. Now you can install the new stat, just place it where the old one was located and install the bolts the same way they came out, choice words and all. 9. Once all bolts are back in and tightened, you can reinstall the two hoses to the stat housing. There is a trick with the hose clamps to make this easier. If you push the clamps open all the way, you will notice a "tooth" that can keep it opened from springing back. It makes things infinitely easier if you do this to install the hoses. 10. Now that the coolant system is all buttoned up, you can re-fill the system. My car took almost exactly 4L to fill back to level. It is recommended that you fill the overflow tank between min and max, close the system, and run the car at approx. 2K RPM for 8(ish) minutes, or until the engine is up to temp (about 90* C). Once the car is up to temp, run the motor at approx. 4K RPM for 30 seconds or so. This will bleed the air out of the block. NOTE: Just a reminder, the temp gauge on our cars is basically a glorified idiot light, I used "test mode" to show the actual engine temp to keep an eye on things. To enter test mode, turn the key to accessory mode; hold the right "OK" button on the steering wheel for 5 seconds, than turn the key to "run" while still holding the OK button. After 5 more seconds, Test mode will show on the display. You can then use the up/down arrows to navigate to the temp screen. Once here, you can start your car and monitor the temp for the above instructions. 11. Once you have gotten the car up to temp, recheck your coolant temp and top up as needed. Remember, the coolant will raise when the motor is cool. The "Min." line on the overflow is for a cold engine. Don't overfill your system. 13. Once back from your hopefully uneventful drive, check for leaks. Let the engine completely cool and check your coolant levels one last time. Just a reminder, once the stat is installed, you will need a tune so your car can take advantage of the lower temp stat. Tell Tom you've installed the stat so he can change the fans to match the stat. Now for my review (I'll keep is short and sweet, I promise). I was having light spark knock when the engine was under load, say driving up a hill. 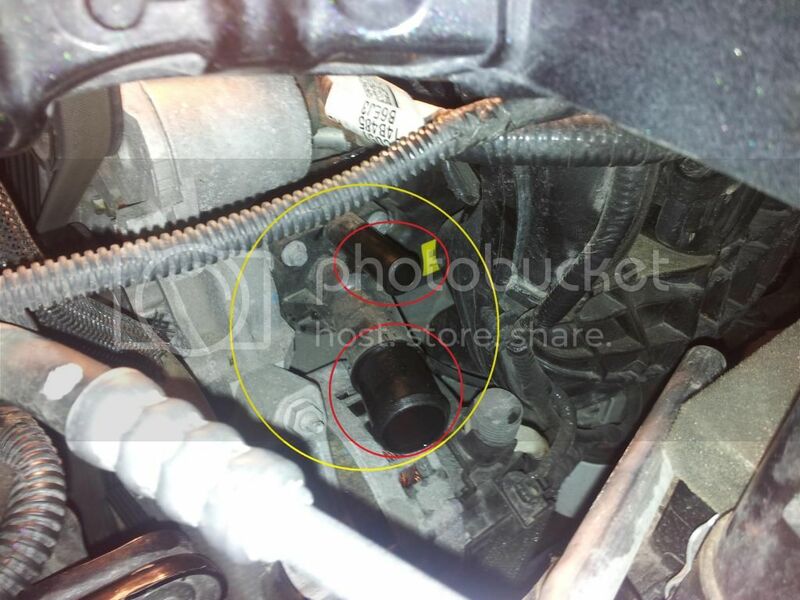 It was not enough to show on the knock sensor, but I flashed back to stock and the noise went away. After installing the stat, I re-flashed the car and noticed that the noise is gone*. By gone, it is 99% reduced. I think I have heard it once or twice, but nothing like before. All in all, I'm very happy I did this and would recommend it to anyone with a custom tune (probably any tune as I think Injected's canned tune has the fans programmed for the lower temp stat). Any questions, let me know and I'll do my best to help you out! 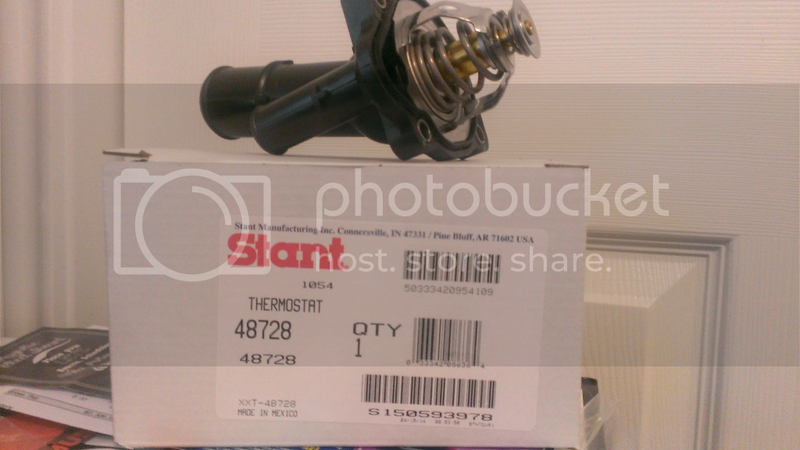 I'm installing this 180* t-stat tonight an I will datalog and report what is up. Winter is coming and we will have some -40 days here. For now it is in the low 40's but will get in the -30,-40 soon enough. Sounds awful! Coldest we see down here is 40f in the dead of winter. Not frequent at all, but it does gets there 2 weeks in a row every end of january/start of february. excuse my noobism here, but, what are the benefits to the thermostat change? Would you recommend this mod to anyone before doing a "Tom" tune?